The Senate President, Dr Bukola Saraki, has called on youths across the country to ensure they go to the various polling units where they registered and cast their vote. 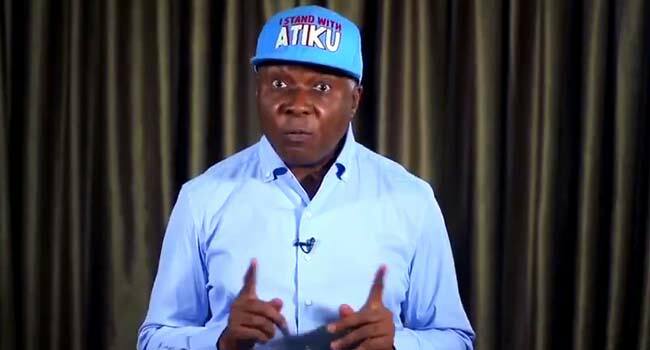 He made the call in a short video clip on his twitter handle on Sunday, less than one week to the general elections. “This message is to our youths. With over 40 per cent of registered voters, you can decide the direction of our country through your votes,” he said. In the one minute 25 seconds video, he commended the youths for collecting their Permanent Voter Cards (PVCs). Saraki, however, insisted that it was important to vote in the elections, noting that they have the major role to play in deciding the future of the country. He said, “You have started the process by collecting your PVCs, you must follow through and vote next Saturday. “Come Saturday, February 16, you must come out en mass and vote. To sit at home is not an option. You have a big say in your future only if you vote,” the lawmaker insisted. On the purported reports that the elections might be rigged, he explained that that could only happen when electorates don’t show up at the polling units. Sakari also used the opportunity to seek support for the PDP’s presidential candidate, Atiku Abubakar, and his running mate, Peter Obi. According to him, the duo would provide larger youth participation in governance, as well as get the economy working and provide jobs for the youths if elected in the coming polls. In 6 days, YOU will have the opportunity to decide the future of our nation.